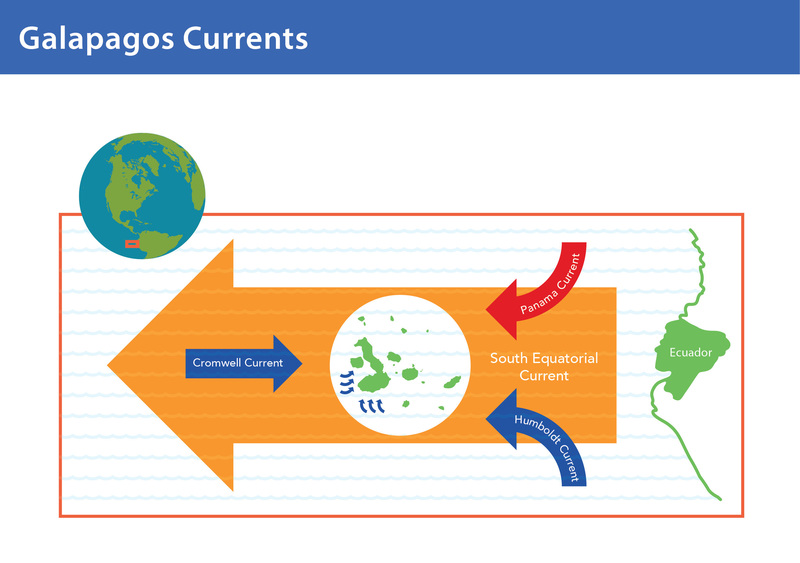 The Humboldt Current is a cold water ocean current that flows north from Antarctica along the west coast of South America, bringing nutrient rich water to the Galapagos Islands and helping to sustain the islands rich biodiversity. Named after the naturalist Alexander Von Humboldt, the current is driven by strong winds which displace the warm and nutrient poor surface water, allowing the cold Antarctic waters to rise to the surface creating a phenomenon known as an upwelling. The cold waters brought up from the deep, are rich in nutrients from dead and decaying matter found on the sea floor. These provide food for phytoplankton which are the primary producers in the ecosystem and are very important for the food web. 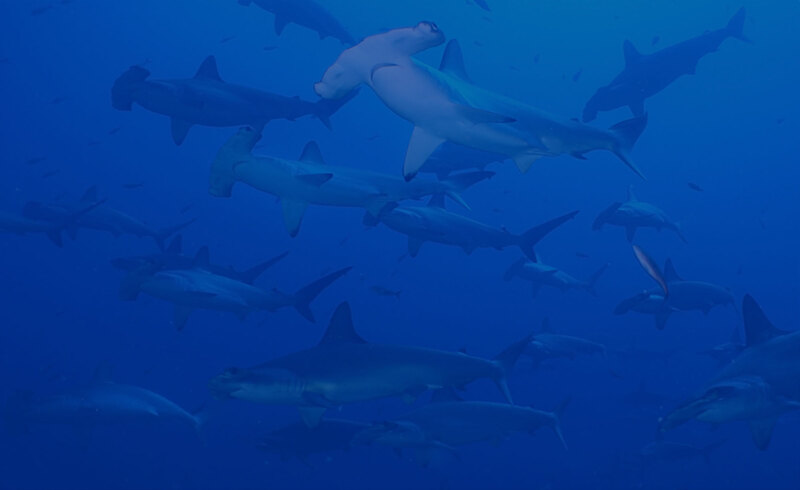 Their abundance makes the Humboldt Current one of the most productive ecosystems in the world, and supports the world’s largest fisheries and is the reason why some species of penguins can live on the equator. The large concentration of fish and cold waters mean that penguins can live there all year round.